We`ve finally arrived at the first contest ever held at this website. We’re pretty stoked around here about the impending release of Optimum Wound Volume One in early September. It hits the Previews catalog on June 24th. So we’re celebrating by holding contests all month. This will be the first of four held in June. Every Friday we`ll be offering up prizes of escalating coolness. This week features a 11″ by 12″ pen and ink drawing. You can win this artwork by following the rules below. 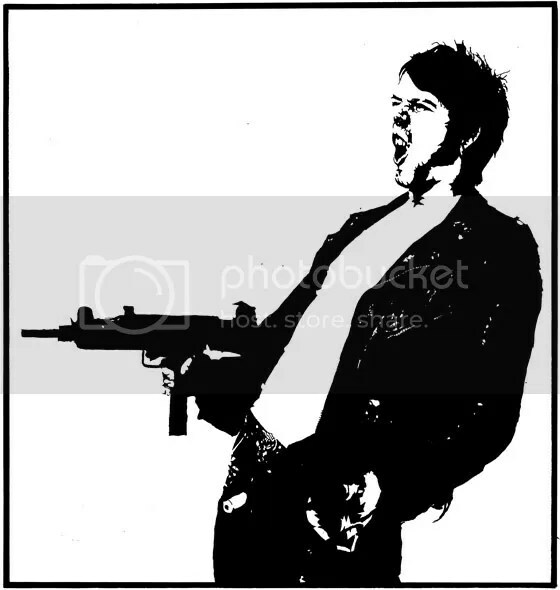 It’s a drawing of my main character Starkweather from Battles Without Living Witnesses. It’s 12 inches tall and 11 inches wide (30cm x 27.5cm), India ink on acid-free paper. AND IT”S YOURS TO WIN. 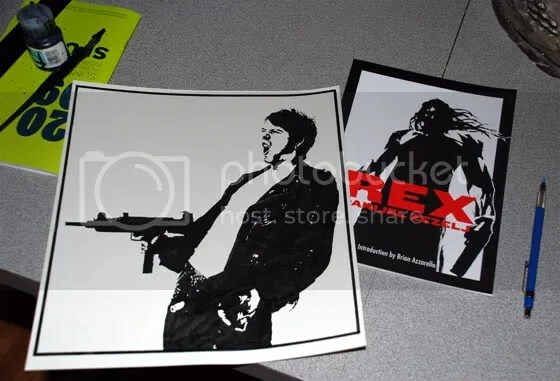 As an added bonus I’ll throw in a copy of Danijel Zezelj’s Rex in the package. What have you accomplished so far in 2009 that you’re most proud of? 1. Just leave a comment on this blog, that’s it. 4. You have to leave a comment before 11.59pm PST on Monday, June 8th, 2009 to be eligible. I’ll add up the number of comments and use a random number generator to select the winner. Then I’ll contact the winner by email and announce them publicly next Friday, June 12th on the Contest #2 blog.